Following the London event, the company will also conduct a launch event here in India. However, the company is giving 12 OnePlus international fans a chance to fly to London to be the first to witness the launch. OnePlus is gearing up for a mega launch event on May 16 in London. Following the London event, the company will also conduct a launch event here in India. However, the company is giving 12 OnePlus international fans a chance to fly to London to be the first to witness the launch. To participate in the OnePlus London launch event the user will have to through various steps mentioned on the official page. Other than the 12 international fans, OnePlus will also bring 25 local fans to witness the event. For the millions of those who fail to get this offer the company has made arrangements to telecast the event live online. OnePlus local launch event in Mumbai will be conducted at 3:00 pm (IST) and that too will be streamed live on the web. The OnePlus 6 will feature a Snapdragon 845 chipset along with three variants. One with 64GB storage and 6GB RAM, the second with 128GB storage and 6GB RAM and the third with 256GB storage and 8GB RAM. The prices of the OnePlus 6 variants are also expected to get a substantial jump. The cheapest variant is expected to cost the buyer around Rs 34,000 and the highest variant is expected to be priced above Rs 45,000. The premium price is expected to get premium features like a near bezel-less display with a notch on the top. The new teaser of the Avengers Special Edition phone goes on to confirm the notch design. OnePlus claims it has incorporated a way to disable the notch using the software. The premium-list doesn't end there. 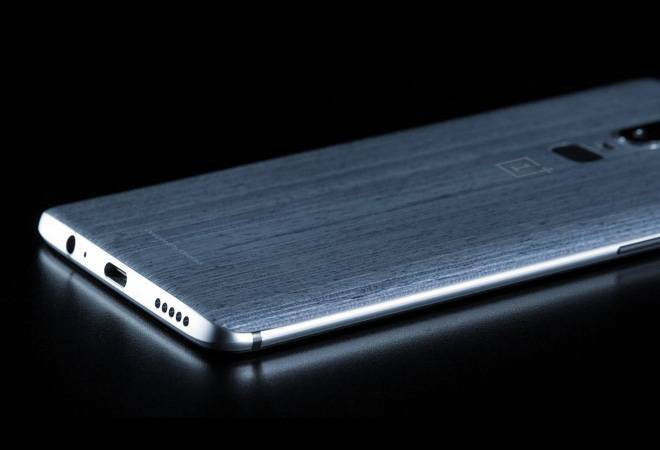 The device will also feature a glass or ceramic back which goes on to indicate that the OnePlus 6 will have wireless charging. This time around the Chinese company has decided to go with a vertical camera setup this time, instead of the horizontal one seen on the back of OnePlus 5T. The OnePlus 6 is also expected to come with a glass back which indicates towards a new feature that OnePlus fans have been demanding for a long time, wireless charging. Waterproofing is another flagship feature that might make it to the OnePlus 6. OnePlus has confirmed that it will be releasing special OnePlus 6 Marvel Avengers limited edition in India next month on May 17. The next-gen phone will also have an option of 'Slide to Focus' and 3450mAh battery life. The company has also joined hands with Marvel Studios in order to launch a limited edition Avengers: Infinity War OnePlus 6 in India. The company recently declared their collaboration with Marvel Studios which also includes giving away 6000 tickets to the movie that will launch on April 27.